Vignana Bharathi Institute of Technology Proudly Celebrate the college events for every academic year to develop innovative ways of delivering education. VBIT is celebrating events is all set to epitomize itself as the ultimate platform for budding engineers of various streams. 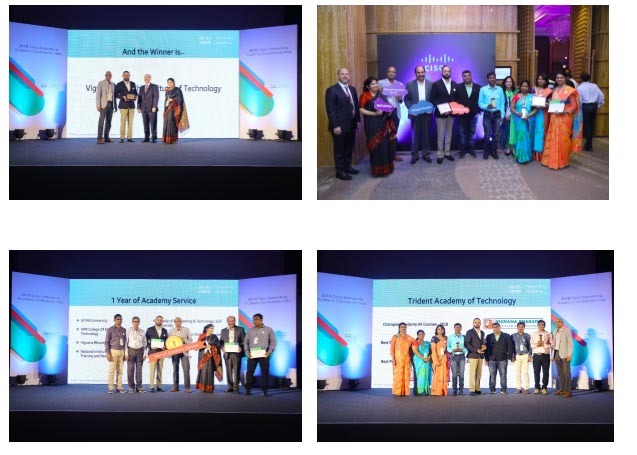 The Academic Events like Paper Presentations,Poster Presentations,National & International Conferences , Seminars , Technical Symposiums , College Festivals , Guest Lecturers on trending technologies and on Academic Subjects etc .These are all helps to the students to develop their technical knowledge and competitive spirit to communicate with the world. These events provide the student the most exciting and gainful opportunities for the acquiring of knowledge and technical expertise to groom and orient the young minds. Training & Placement Cell has organized a guest lecture on Personality Development & Career Mentoring for II B.Tech students by Mr.Viju Chiluveru, President, VCIT Solutions, Inc., USA. Harith-Eco Club has organized Prakruthika 2K19- A Techvironmental Fest on 26th & 27th March 2019 in which events like Selfie with plant, Nature Bucket, art & photography etc were conducted. 200 students from various branches have participated in this event. Dept. of Civil Engineering has organized an industrial visit to Geological Survey of India for II, III & IV CE students. 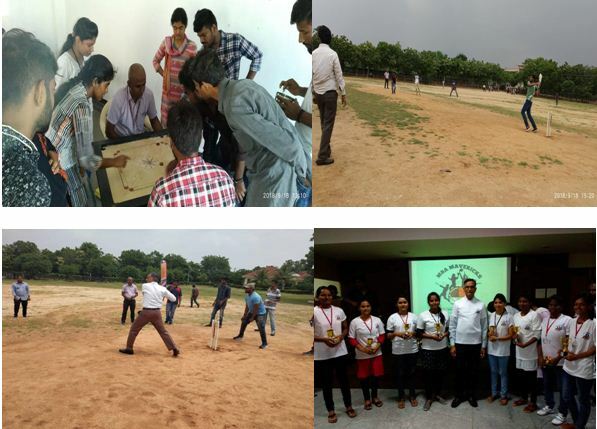 Robotics Club of VBIT has organized Yantra Yojana 2K19 in which events like Image & Face Cognition, IoT, 3Ds Max, Virtual Assistant etc were conducted. Department of ECE has organized a guest lecture on Pulse & Digital Circuits for II ECE students by Dr.A. Prakasa Rao, Associate Professor, Dept. of ECE, NIT-Warangal. Sowparnika-Physics & Chemistry club of VBIT has organized Science Exhibition in which various models prepared by I B.Tech students were exhibited. Department of MBA has celebrated International Women’s day. Ms.Y.Kaveri Reddy, Sarpanch of Aushapur village was the chief guest for this event. 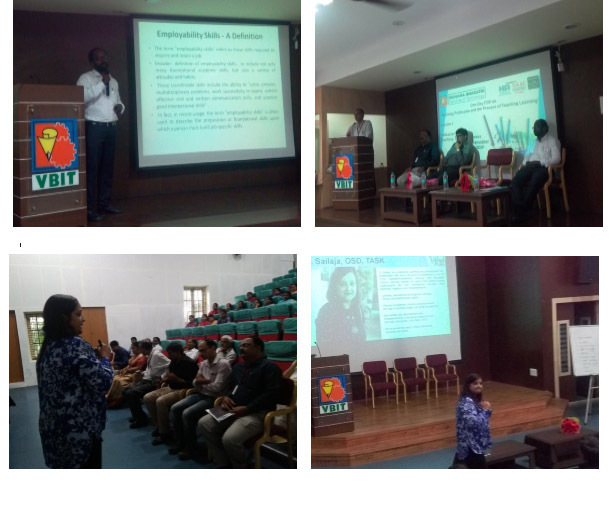 Institute in association with University-Industry Interaction Centre of JNTUH has organized 3 day workshop on “Soft Skills on Employability for engineering students” from 6th to 8th march 2019 in which 200 students have participated. CINE-Branch Association of CSE & IT Department has hosted 05 days Faculty Development Program on Java Fundamentals from 05th to 09th march 2019 0organized by Oracle Academy in association with ICT Academy. 30 faculty members from various engineering colleges have participated in this program. 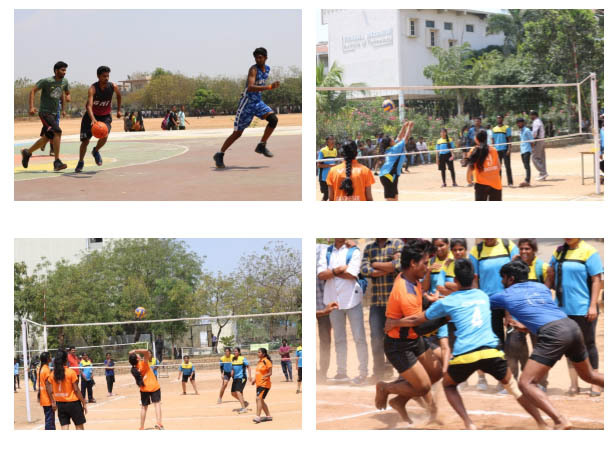 NIRNETHA 2K19-Inter Collegiate Sports Fest was organized by the Institute in which 30 Engineering colleges were participated. Cricket, Volley Ball, Basket Ball, Kabaddi, Football etc games were conducted on this occasion. 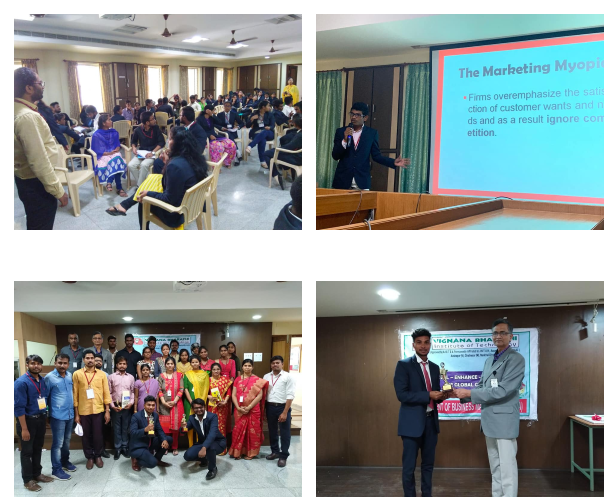 Department of MBA has organized Management Fest Swamedha-2K19 on 01st & 02nd March 2019 in which events like paper Presentations, Mock stock Exchange, Business Quiz, Ad Buzz etc were conducted. On the occasion of National Science Day, Department of H&S has organized a guest lecture on Nano Materials by Dr.Ch.Subramanyam, Professor, Department of Chemistry, IIT Hyderabad. Department of civil Engineering has organized a guest lecture for IV CE students on “Labour Legislations related to Civil Engineering” by S.Lakshmi Naga, Practicing Advocate in High Court of Andhra Pradesh, Vijayawada. Department of Mechanical Engineering has organized an industrial visit to HMT Machine Tools Ltd, Narsapur Road, Hyderabad for III ME students. Department of MBA has organized a guest lecture on “Importance of Emotional Quotient to evolve as a Leader” by Mr.M.Uma Shankar Kumar, General Manager, Rail Vikas Nigam Limited. Department of Civil Engineering has organized an industrial visit to National Geophysical Research Institute (NGRI) for II Year students. 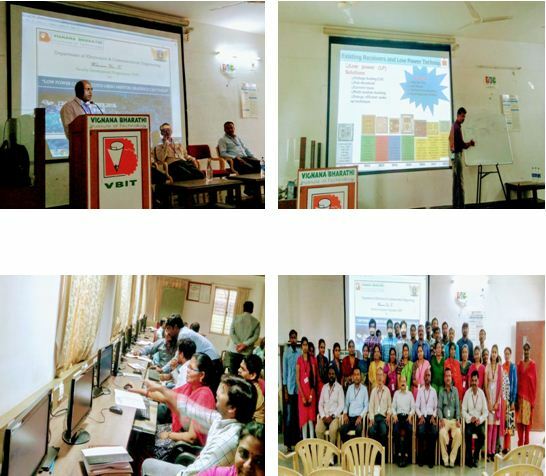 Coding Studio student club of VBIT has organized CODE CRAFT in which the participants were given queries on programming languages to solve through online.50 students from Departments of CSE & IT have participated in this event. Department of Civil Engineering has organized an industrial visit to Geological Survey of India (GSI) for II CE students. CINE Branch Association of Dept. 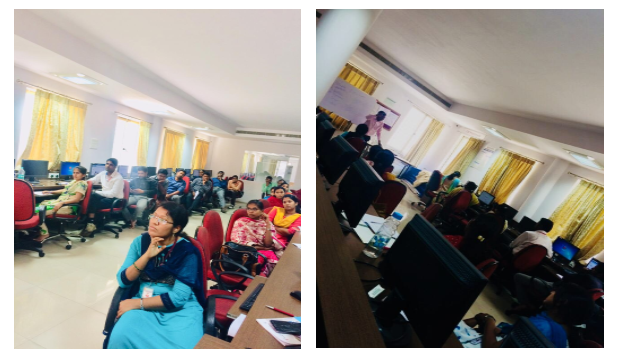 of CSE & IT has organized two-day workshop on “Web Development using PHP” on 8th & 9th February 2019 by Ms.Sailatha, PHP Developer, COIGN Technologies for III CSE & IT students. 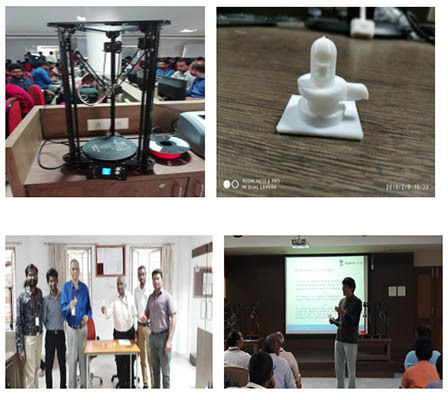 Department of Mechanical Engineering has organized 02-day workshop on 3D Printing Technology in association with Technolexis on 07th & 08th February 2019 in which 50 students from Mechanical & Civil Engineering departments have participated. 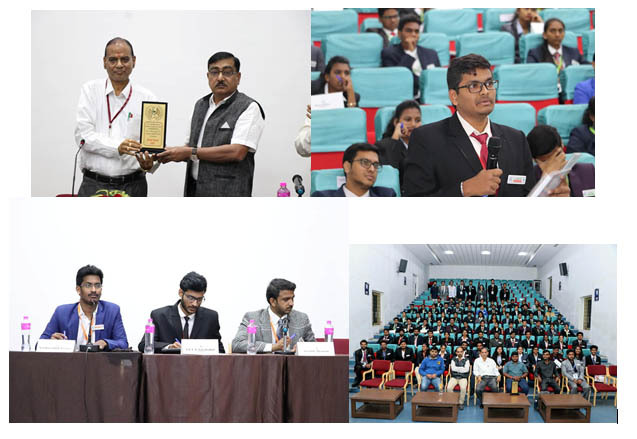 Institute of Student Engineering (ISE) forum has organized an event “My Belief” in which students were given a platform to share their ideas, thoughts on technical & non technical topics. 80 students have participated in this event. Dept. of EEE has organized 03 day workshop from 31-01-2019 to 02-02-2019 on Electrical CAD by Canter CADD institute in which 90 students have participated. 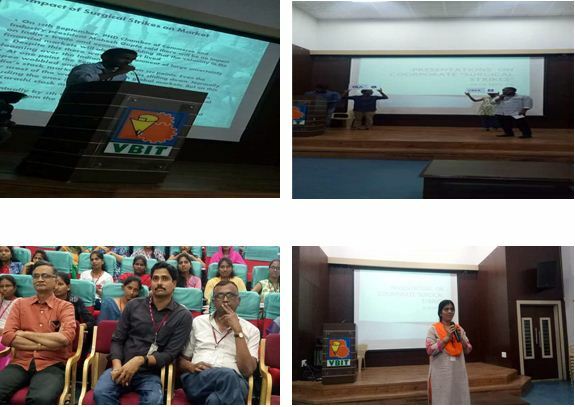 Internal Quality Assurance Cell (IQAC) has organized a guest lecture on “Role of Teacher as a Mentor in Professional Institutions” by Dr.Meena Hariharan, HoD, Dept. 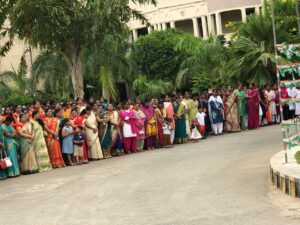 of Health Psychology, Central University of Hyderabad in which 232 faculty members have participated. 70th Republic Day celebrations were held at the college campus. 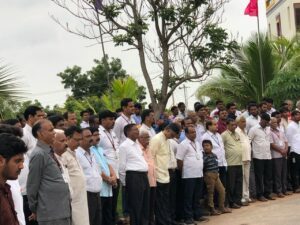 Dr.N.Goutham Rao, Chairman hoisted the national flag. Stutalk magazine (Volume-12, Issue-02) was released on this occasion. 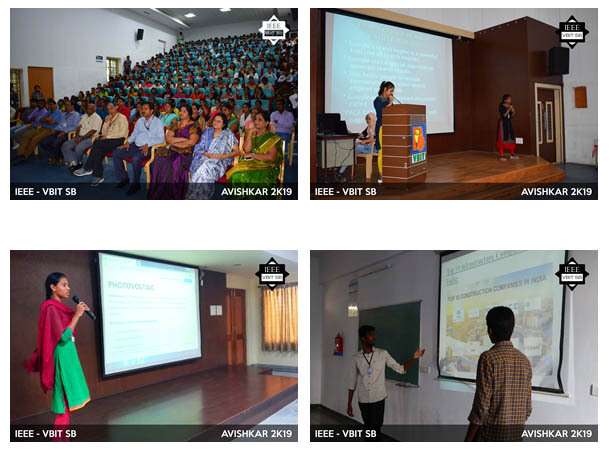 IEEE-VBIT SB has conducted AVISHKAR-2K19, (Intra-Collegiate round) in which 151 teams participated. The final round was held on 26-01-2017 for the 15 teams short listed from the prelims. Institute has hosted Yuva Sankalp Diwas 2019 organised by Bharat Today News Channel in which Youth Icon Awards were presented by Swami Paripurnananda. 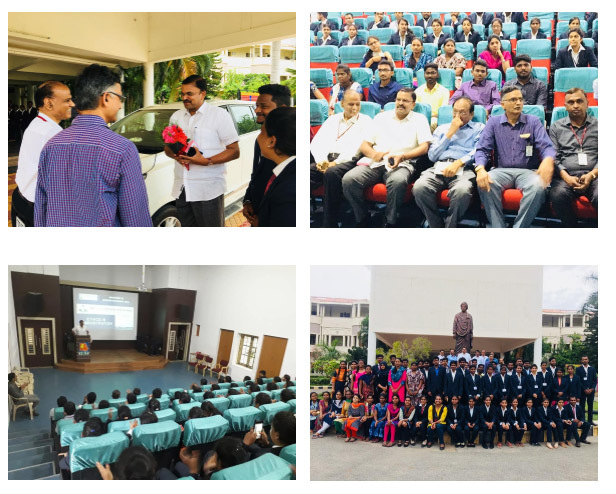 Street Cause VBIT division has organized Congregate-2k19 in which action plan for the academic Year 2019-20 was discussed in this event.Prof.T.Papi Reddy, Chairman, Telangana State Council of Higher Education (TSCHE) was the chief guest for this event. 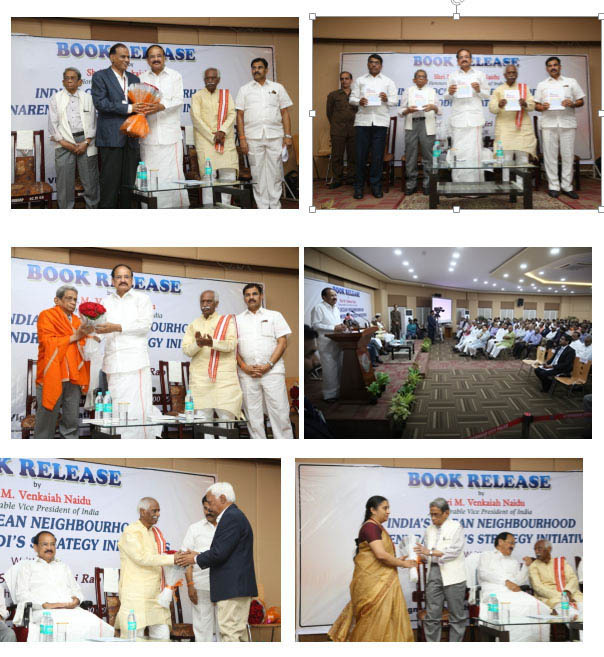 Honourable Vice President of India Sri.M.Venkaiah Naidu garu has released a book entitled “India’s Ocean Neighbourhood-Narendra Modi’s Strategy Initiatives” authored by Prof.S.V.Seshagiri Rao, Chancellor, Central University of Kerala & Published by Vignana Bharathi Institute of Technology. Dept. of MBA has organized a guest lecture on Corporate Expectations from Freshers by Mr.B.S.Radha Krishna, Vice President, Marketing, Jain Irrigation Systems, Hyderabad. Department of Mechanical Engineering has organized a guest lecture on “Introduction to Vibrations, Noise & Harshness in Automobiles” by Mr.B.Murali, Mechanical Engineering Consultant, Novo Plastics & Mr.Hari vardhan, Manager, Global Business Planning and Analysis for II, III & IV Year Mechanical students. Department of Civil Engineering has organized one day seminar on “Recent Advances in Ground Improvement Techniques” by Dr.MVSS.Giridhar, Head & Associate Professor, Centre for Water Resources, JNTUH in which faculty members and students have attended. Department of Civil Engineering has organized one day workshop on “Recent Advances in Ground Improvement Techniques” by Dr.M.Lakshmana Rao, Assistant General Manager, Hindustan Construction Company Limited, Mumbai. Department of ECE has organized 05 day Faculty Development Program on ““Low Power CMOS Circuits using Mentor Graphics CAD Tools” from 13th to 17th December, 2018 in which 45 faculty members were participated. Dr.P.Sree Hari Rao, Associate Professor, Dept. of ECE, NIT Warangal was the chief guest and resource person for Inaugural event. 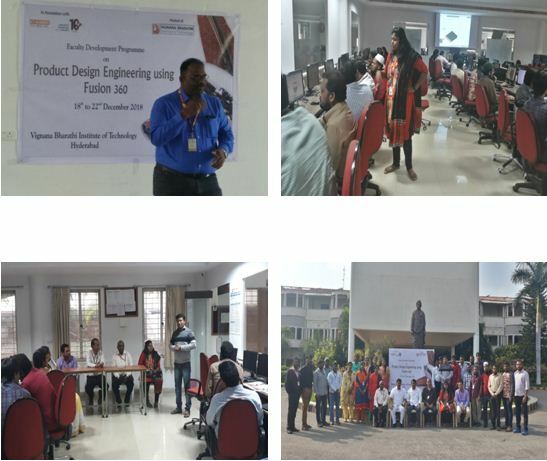 Department of Mechanical Engineering in association with ICT Academy & AUTODESK has hosted 05 day Faculty Development Program on “Product Design Engineering using Fusion 360” from 18th to 22nd December, 2018 in which 35 faculty members were participated. Ms.K.Kalyani from ICT academy was the resource person for this event. Department of Civil Engineering has organized one day workshop on “RCC STRUCTURAL DETAILING AND DRAFTING”. 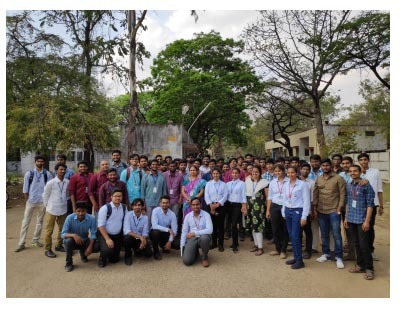 Dr.J.S.Kalyana Rama, Faculty of Civil Engineering, Birla Institute of Technology & Science, Hyderabad campus was the resource person for this workshop in which 35 faculty members from have participated. 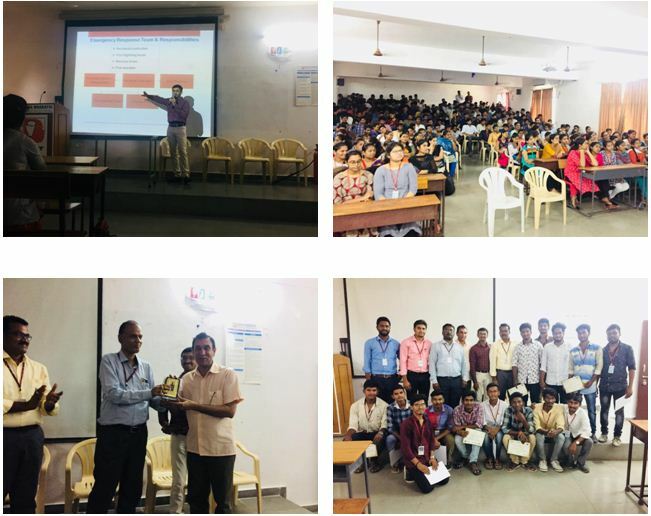 Department of MBA has organized a guest lecture on career opportunities in pharmacy industry by Mr.P.V.Ramanaiah, Vice President, Sales & Marketing, Crescent Pharmaceuticals pvt. Ltd.
Department of Civil Engineering has organized a guest lecture on Applications of Geosynthetics in the field of Civil Engineering by Dr.M.Laxmana Rao, Asst. General Manager, Hindustan Construction Company Limited, Mumbai. 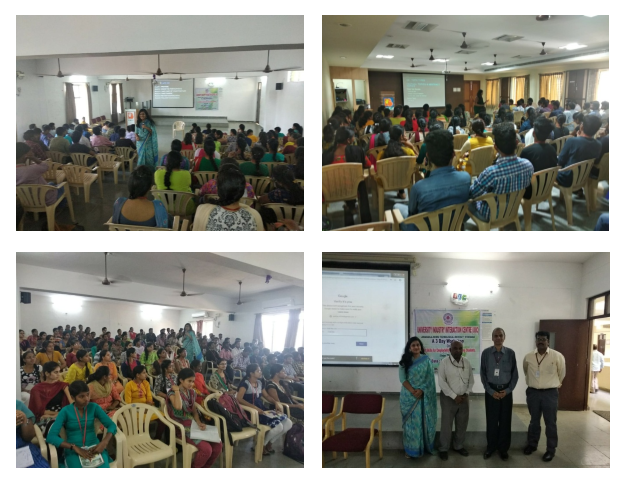 SRISHTI-Literary Club in association with Deeksha Academy for Civil Services has conducted Awareness program on Civil services in which 250 students from various branches of engineering have participated. Sri V.S.Sampath, Chief Election Commissioner (Retd.) was the resource person for this event. 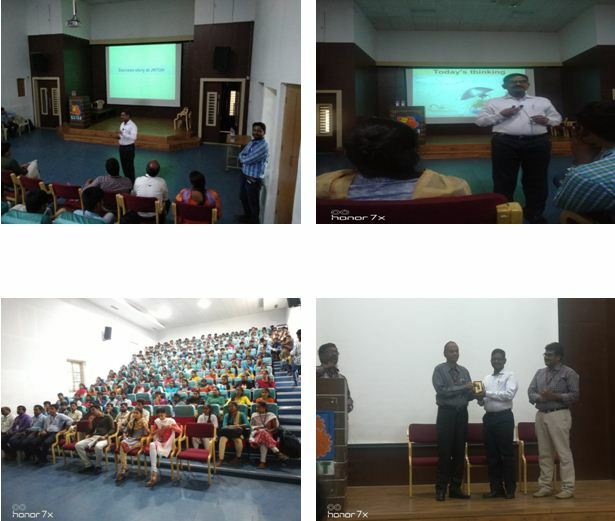 Department of CSE & IT has organized a guest lecture on Cyber Security for IV B.Tech students. Mr.Mudalkar Sandeep, CEO & Founder, Sytech Labs was the resource person for this event. 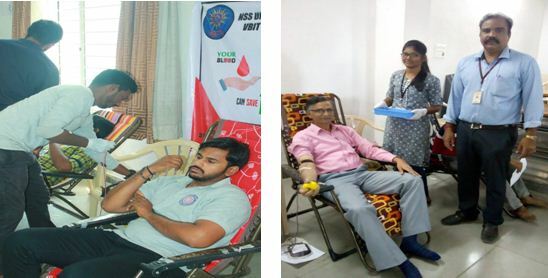 Dyuthi-NSS unit of VBIT has celebrated National Unity Day on the occasion of birth anniversary of Sri Sardar vallabhbhai Patel in which blood donation camp was organized. 200 units of blood were collected on this occasion. Department of MBA has organized Entrepreneurship Development Program for I & II Year students on 26th & 27th October 2018. 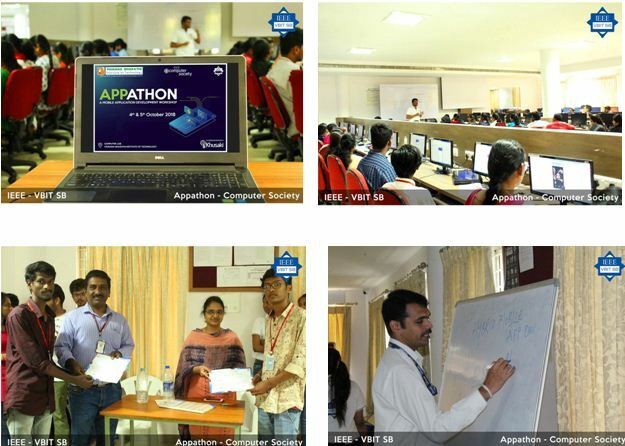 Mr.M.Chanakya, Financial Analyst, ADP, Hyderabad & Ms.Jyothi Sharma, Financial Analyst & Team Leader, Amazon India were the resource persons for this event. Padmasri Chintakindi mallesham was the chief guest for this program. Dept. 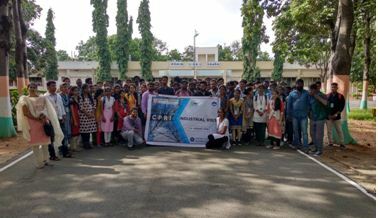 of Civil Engineering has organized one day workshop on “Basic Fire Safety Training & Mock Drill” for the students who opted Disaster Management as elective subject. Mr.Ugandhar Phani Varma, Sr.HSE Consultant, Centre for Health Safety & Environment, Hyderabad was the resource person for this workshop. 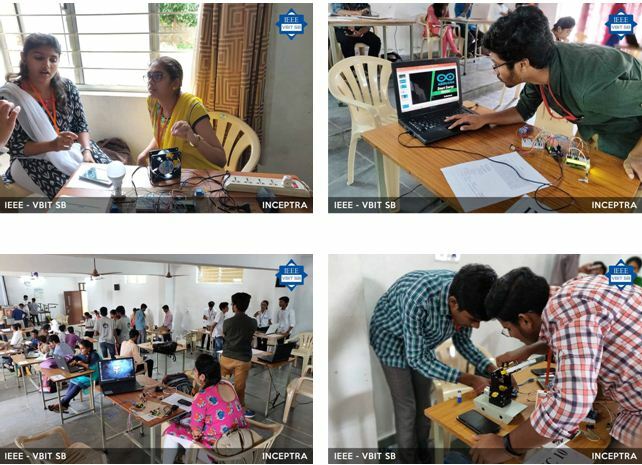 As a part of IEEE week celebrations, IEEE-VBIT SB has organized “INCEPTRA”- a technical project competition in which II & III B.Tech students from various branches of engineering were participated. Department of EEE has organized industrial visit to Nagarjuna Sagar Hydro power plant for III Year students. 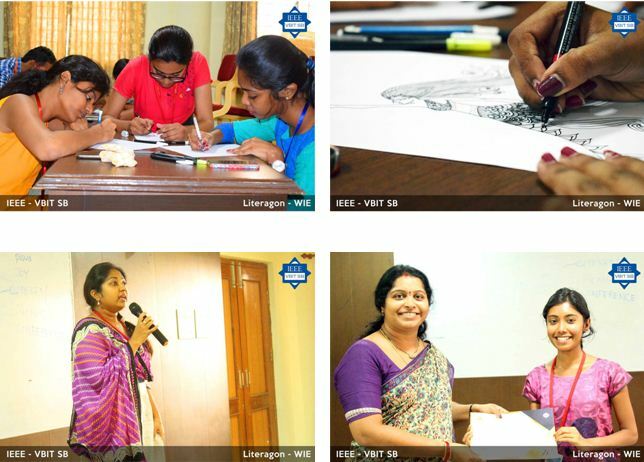 As a part of IEEE week celebrations, Women in Engineering chapter of IEEE-VBIT SB has organized LITERAGON in which events like Doodle, Speak out, Article-O-phile were conducted. The event mainly focused on unleashing the creativity of the students in diverse platforms. Robotics Club of VBIT has conducted two day workshop on Augmented Reality & Virtual Reality on 08th & 10th October, 2018 in which 90 students from various branches of Engineering have participated. 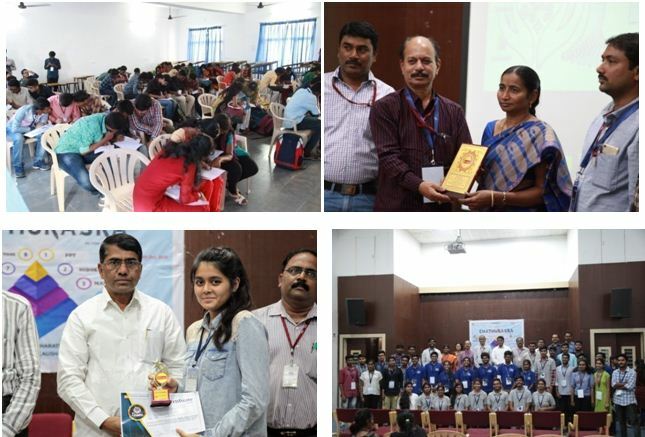 Ganith-The Mathematics Club of VBIT has organized Chathurasra 2K18 in which events like Math hat, Mystery Snapper, Sudoku, Selfie Math, Math tone etc were conducted in which 300 students were participated. Dr.R.Radha, Professor, Dept. 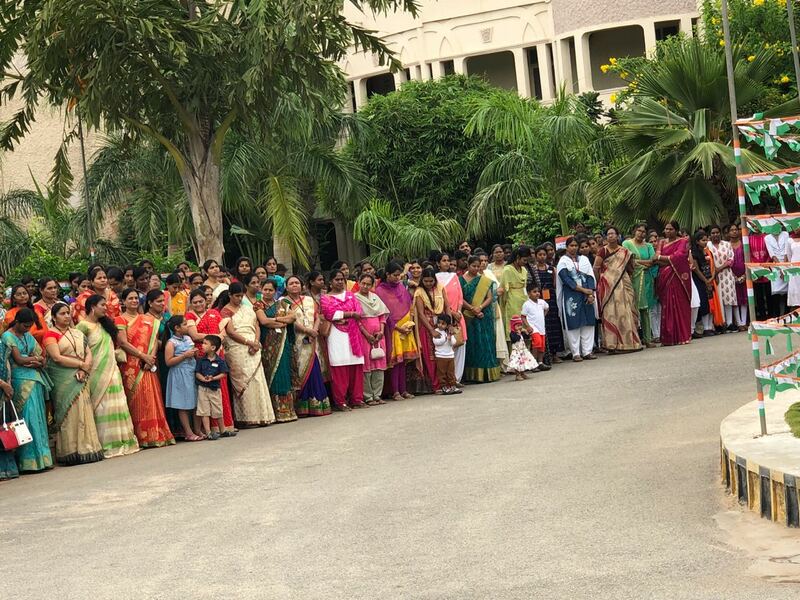 of Mathematics & Statistics, University of Hyderabad was the chief guest for inauguration. Dept. of Civil Engineering has organized a guest lecture on “Gap between Student and Outside world” by Mr.E.Raj Pavan Reddy, Engineer at Water and Power Consultancy Services Limited (WAPCOS), Consultancy organization & Public sector undertaking under the Ministry of Water Resources, Govt. of India. Dept. of Civil Engineering has organized industrial visit to Ready Mix Concrete Plant at Rampally, Hyderabad for III year students. 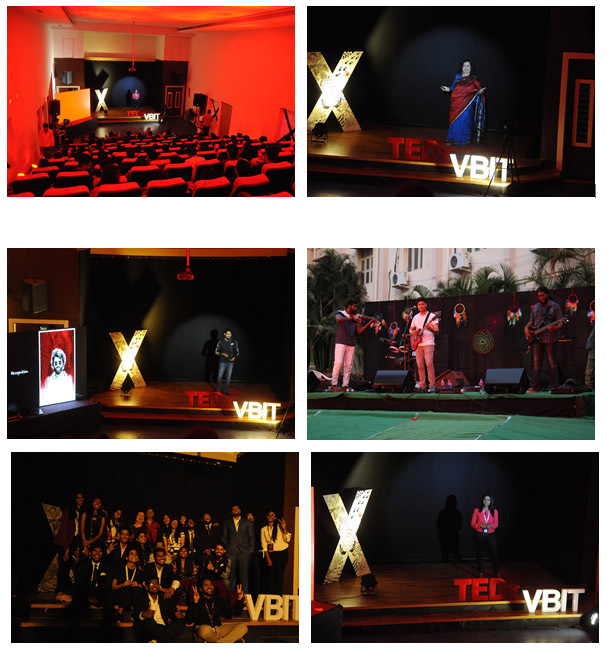 Stumagz Avengers team of VBIT has organized Talento Venari in which events like Visual storytelling, Instrumental Melody, Poetry, Mime Acting etc were conducted in which 200 students were participated from various branches of Engineering. Observance of Surgical Strike Day by the Institute in which students of MBA came up with the presentations on surgical strike happened two years back. 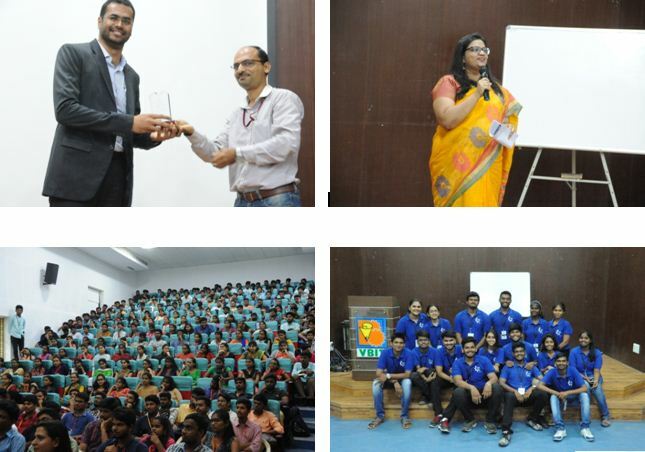 ISE (Institute of student Engineering) forum of VBIT has organized VAKTRUKA in which guest lectures on Soft Skills were organized for B.Tech students. Mr.Siddarth Reddy Gauni, Ted X speaker & Ms.N.Sushmitha Priyadarshini. HR Manager, Columbus Global India were the resource persons for this event. On the spot inspection by Expert Committee members for UGC Autonomous status. Annual sports meet for MBA I & II Year students. Institute has Memorandum of Understanding (MoU) with The Indus Entrepreneurs (TiE) Hyderabad for TiE Grad Program to develop entrepreneurial mindset and encourage to build own business ideas. Department of EEE has organized a guest lecture on “Manufacturing Process of Transformer and Accessories” by Mr. B. Rama Subrahmanyam, Sr. Engineer, Vishwanath Projects Ltd., Noida. Department of MBA has organized industrial visit to Vijaya Dairy for I & II year students. IETE-VBIT student branch has organized Technostav in which various events like Selfie with Circuit, Feed the Brain , Engineers eye etc were conducted. Mentographic workshop by P. Rama Krishna Associate professor , CVSR College of Engineering. Department of Mechanical Engineering has organized a guest lecture on Non-Destructive Testing by Mr.V.C.Rohan, Director, QC Tech services for III & IV Year students. Department of Mechanical Engineering has organized a guest lecture on Modern Trends in Mechatronics by Mr.Ramakanth Desai, Former Sr. Executive, Wipro for IV ME students. Department of CSE & IT has organized a guest lecture on Big Data Hadoop for IV CSE & IT students by Mr. Rajan Chettri, Technical Trainer. Department of Mechanical Engineering has organized Industrial visit to Vasantha Tools & Crafts Pvt. Ltd for III ME A&B students. Department of EEE has organized industrial visit to Central Power Research Institute (CPRI) for IV year students. Department of ECE has organized a guest lecture on 4G & 5G Technologies for IV ECE students by Mr.D.Chiranjeevi, Founder of 5G Technologies Pvt. Ltd.
Department of CSE & IT has organized a guest lecture on Cloud Computing for IV B.Tech CSE & IT students. 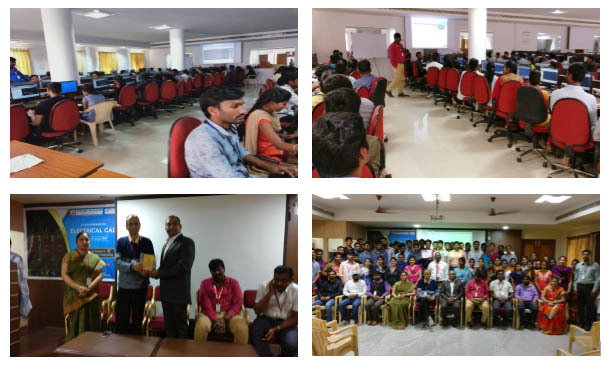 Mr.P.Indra Sen Kumar, Team Lead, Certified Mentor of IBM & Mr.G.Santhosh, Technical Service Specialist were the resource persons for this lecture. 72nd Independence Day was celebrated in the college campus. Dr.N.Goutham Rao, Chairman hoisted the National flag on this occasion. 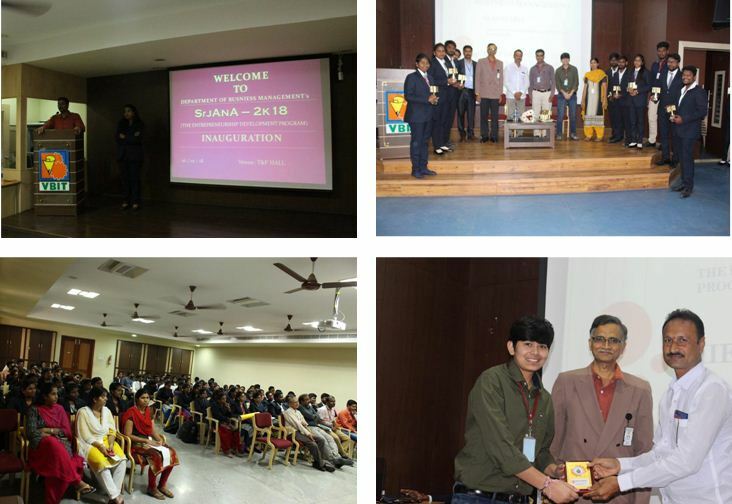 Saadhya- Student forum of VBIT has conducted Documentary Film Competition in which 10 films were screened. Best Documentary films were awarded with cash prizes on the occasion of Independence Day. 04 teams from the Institute has participated at IBC Hackathon organized by Government of Telangana and Nucleus Vision as a part of International Block Chain Congress held at HICC, Hyderabad. Industrial visit to Nagarjuna Sagar Hydro Electric Project by Department of EEE. Department of MBA has organized a guest lecture on Ethics in Administration for I & II Year MBA students. Mr.V.V.Lakshmi Narayana, Ex. DGP & Ex Joint Director of CBI was the resource person for this event. Women in Engineering (WIE) Affinity group of IEEE-VBIT SBÂ has conducted Star Kid event at Zilla Parishad High School, Ghatkesar in which the students were trained ob basic computer knowledge. Dyuthi- NSS unit of VBIT has organized Harithaharam- Massive Plantation Program at Aushapur Village, Ghatkesar Mandal, Medchal District. 100 NSS volunteers participated in this program. Shri.M.Sudhir Reddy, MLA, Medchal Constitiuency was the chief guest for this event. Induction program for I B.Tech students and their parents was conducted in the college campus. 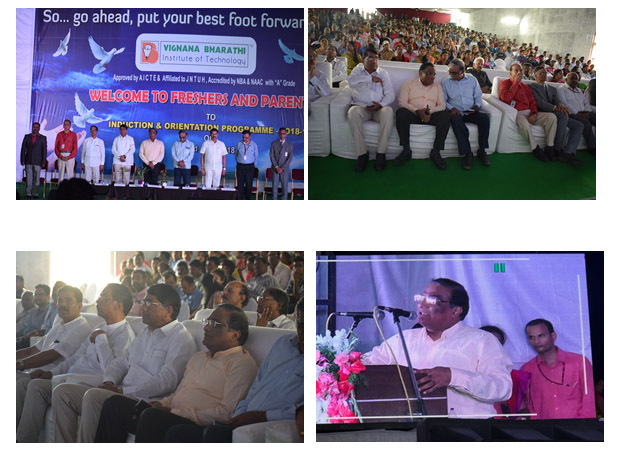 Dr.P.Appa Rao, Vice-Chancellor, Hyderabad Central University was the chief guest for this program. Stutalk magazine (Volume-12 Issue-01) was released on this occasion.Orientation classes were conducted from 24th July to 04th August 2018. Department of EEE has organized a guest lecture on Analog Electronics by Mr.G.Naveen Kumar, Assistant Engineer, Texas Instruments for III & IV B.Tech students. Department of EEE has organized a guest lecture on Role of Engineers in Industrial Automation by Mr.M.Srinivas, Faculty member at Prolific Training Institute, Hyderabad for III & IV B.Tech students. Dept. 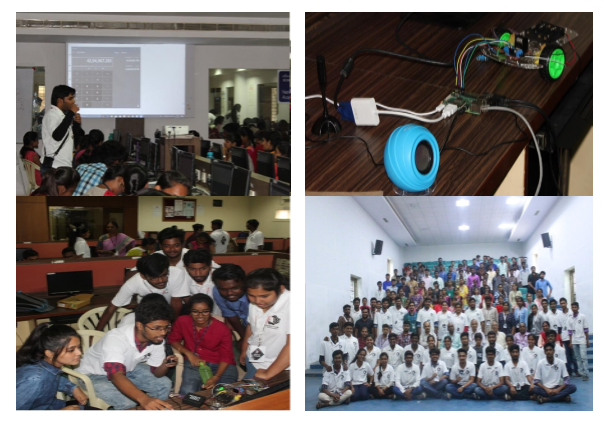 of EEE has conducted 05 day Faculty Development Program on Arduino & Raspberry-Pi in association with Beta Technologies, Coimbatore from 02-07-2018 to 06-07-2018 in which 40 faculty members were participated. Session on Mathematical Applications of Mechanical Engineering by Dr.G.Amarendar Rao, Principal, VBIT. Dr.Saroj K Meher, Associate Professor, Indian Statistical Institute, Banglore. Dyuthi-NSS Unit of VBIT has Celebrated International Yoga Day in which 50 students and faculty have participated. Dr.M.Komaraiah, Professor (Rtd), Dept. of Mechanical Engineering, O.U, Hyderabad. Dr.N.N.Ramesh, Professor (Rtd), Dept. of Mechanical Engineering, Institute of Aeronautical Engineering, Hyderabad. Dr.G.Amarendar Rao, Professor, Dept. of Mechanical Engineering & Principal, VBIT, Hyderabad. Department of Civil Engineering has organized 05 Day Faculty Development Program on FEM & ABAQUS software from 26th to 30th June 2018. Dr.J.S.Kalyana Rama, Faculty of Civil Engineering, Birla Institute of Technology & Science, Hyderabad was the resource person for this FDP.